On Easter Monday our AbunDance-Phoenix rises in a very special way. As Easter is traditionally the time of Resurrection of Christ we celebrate our own re-awakening into the Light and invite you into Ceremonial Space with us. We’ll share the Medicine of Cacao and Dance to transform, grow and celebrate this human experience that longs for you to shine even brighter. There’s also always possibilities to help if money is not flowing for you right now, just ask us! // ANIR LEBEN loves movement in the voice and in the body and hosts different spaces as a singer, dancer and mistress of ceremony. 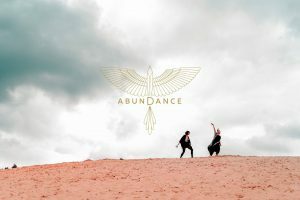 She teaches Contact Improvisation, hosts Singing Circles and gives Concerts, marries people to themselves as the “Priestess of wild hearts and free self-love” and recently founded the “Earthmothers”, a project gathering women without human children. In her work she mainly highlights the exploring mind, self-responsibility, freedom and aliveness. // ALMA ∞ OMEGA is a devote disciple to the Deva-of-the-dopest-beat, humble slave to the rhythm, and dedicatedly obsessed in serving the wide spectrum of Soul-Medicine-Womb-Tech Musika-Magika that is flooding the planet: saturating us with life-force, wisdom & wildness, re-activating our innate power, our human hearts. Alma ∞ Omega is the co-founder of Berlin-based gatherings Lucid and Cacaophany, and has been passionately opening portals of magic with music-dance-community since she started Djing in 2004. Alma weaves golden strands of consciousness-meets-playfulness, creating alchemical spaces of transformation, celebration, healing and releasing…She is an avid believer in the power of DANCE and MUSIC to elevate & connect the spirit of humanity: allowing us to get back to the basics, our roots, our hips, our hearts, our oneness…no dogma on the dancefloor…just a dream within a dream within a dream we dream together: a dream we are learning to navigate as we collectively Awake.